I lift my eyes up to the sky. I lift my hands up! The Creator of the Universe cares for me. My God stays so close to me that he is like my shadow. 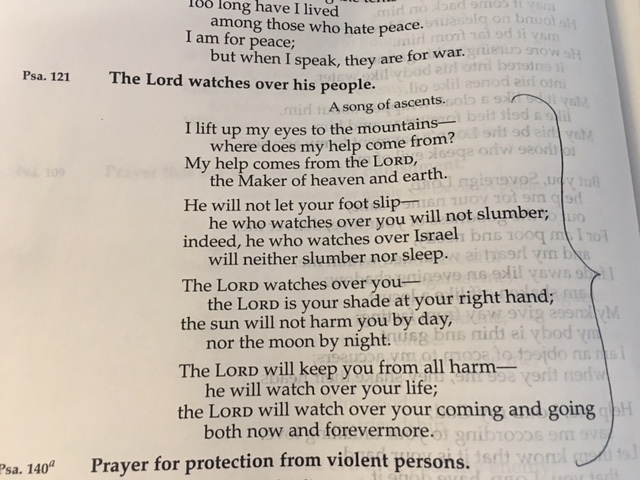 He protects me during the day and he guards me through the night. My God lovingly watches over every part of my life – every day and each night.